If you have ever been in an accident, then you know the importance of having the situation investigated fully. The outcome of that accident investigation can actually determine who is liable for any injuries or property damages. That’s why a good San Bernardino County licensed investigator will take your case very seriously. There are thousands of serious accidents every day in the state of San Bernardino County – many of them caused by people and machines reacting in an unexpected way. Some accidents can cause permanent injury or even be fatal. When you or a loved one are involved in an accident, the last thing you want to worry about is the burden of proving the facts concerning your case. That is where a reputable San Bernardino County licensed investigator comes into play. Simply stating that something went wrong is often not enough to convince those liable for the accident to make it right. Instead, you must have the details of the accident scrutinized by an expert in order to prove liability and get compensated accordingly. A skilled San Bernardino County licensed investigator can reconstruct the accident and determine precisely what happened to cause it. On top of that, he or she can provide expert testimony during court trials to ensure that the correct party is held responsible. Most commonly, accident investigation and reconstruction pertains to automobile mishaps. Car accidents happen daily. Sometimes those involved require the help of a San Bernardino County licensed investigator to ensure that insurance companies and police departments operate in a fair and timely manner. However, that is not the extent of an accident investigation or reconstruction. The best San Bernardino County licensed investigators provide a range of services. In fact, they have the ability to investigate and reconstruct nearly any type of accident that could occur in the state of San Bernardino County, including but not limited to marine, workplace, and personal injury cases. Determination of the Cause of an accident. Whether an accident occurs on company premises or on private property, an accident investigation is usually necessary to define liability and to prevent similar accidents from occurring in the future. Reduction of Liability after an accident. 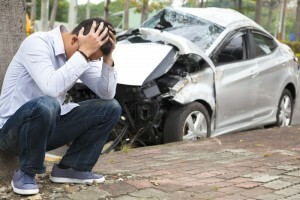 Not knowing the cause of an accident can make you liable for damages and injuries. A good San Bernardino County accident/reconstruction investigation is needed to prove that you were not at fault. Acquisition of Court-Admissible Evidence. A San Bernardino County accident/reconstruction investigation can provide you with expert testimony, collected claims, legally proven negligence. Build a solid court case with the help of an expert private investigator from San Bernardino County. Peace-of-Mind after a tragedy. Sometimes, not knowing what happened during an accident can weigh heavily on your mind. Find closure by allowing an expert to do an accident/reconstruction investigation on your loved one’s behalf. A San Bernardino County licensed investigator will visit the site of the accident. A San Bernardino County licensed investigator will interview witnesses. A San Bernardino County licensed investigator will provide a re-creation of the accident using physical science, state-of-the-art computer software, testimonies, and other collected evidence. A San Bernardino County licensed investigator will document the facts of the scene through the use of photos, video or audio recordings, and/or written notes. NOTE: Electronic surveying equipment is sometimes used during this stage of a Nevada accident/reconstruction investigation to further re-create the scene. If you, an employee, or someone you love has been in an accident, don’t hesitate. For more information on having an accident investigation or reconstruction conducted on your behalf, or to hire a San Bernardino County licensed investigator immediately, call (951) 800-8232. We provide you with a free initial consultation and price quote for our services.